The Finnish listening station on Kallbåda records under water explosions 14th September 1942. Lieutenant Erkki Palosuo’s Tupolev SB-10 naval bomber is soon sent to find the cause. Meanwhile on the Gulf of Finland, a Soviet submarine crew is working desperately. Their boat has hit German anti-submarine mines. The explosions have not been powerful enough to sink the submersible, but they have caused considerable damage. The boat is totally exposed. Palosuo’s bomber reaches the area. Machine gunner Kalle Ahvensalmi soon spots a submarine, which is making an emergency dive. Palosuo drops the depth charges, presumably sinking the submersible. But what happened next? Mikhail Ivanov tells in this 15 minute webisode the whole story of Kumzha. During the summer of 1942, Russian Baltic fleet sent out submarines in three waves. Their mission was to interfere with the enemy warships and merchant vessels as much as possible. The first two waves were relatively successful. Germans did not expect Russians to be able to send the ships out, as Leningrad was surrounded and there was a major shortage of supplies. The fleet was able to sink 20 ships, losing only four submarines: Sch-405 to a mine around Seiskari, M-95 to a mine east of Suursaari, Sch-317 probably to minelayer Ruotsinsalmi or a mine and finally M-97 to a mine in Porkkala. Third wave set out in October. It contained all submarines still in working order, 16 altogether. This time Russians faced a tragedy. The submarines sunk less than 10 enemy ships. Only 8 submarines made it back to port. The Red Banner Fleet lost S-7 and seven Tschuka class boats. Only four of the boats have been found so far: S-7, Sch-305, Sch-304 and Sch-311. 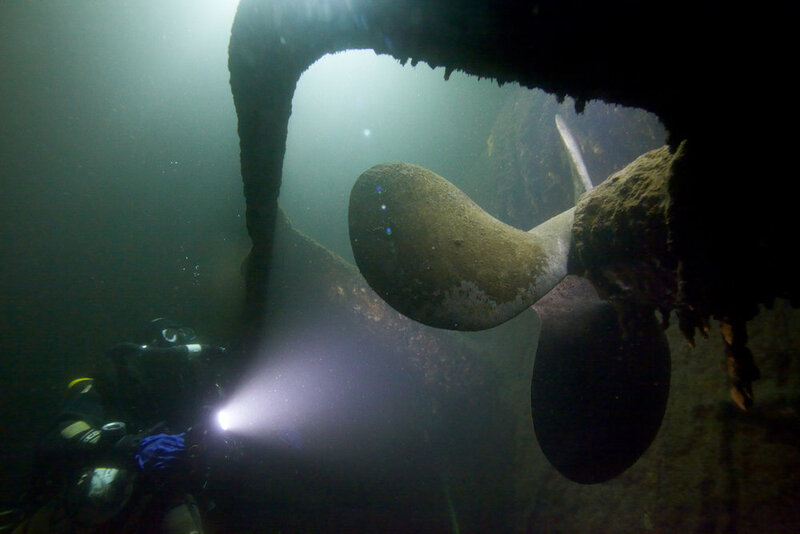 Among the lost submarines are Sch-302, Sch-306, Sch-308 and Sch-320. The mission in October was Pudyakov’s first battle mission as a commander. He lost his life along his crew, never being able to shoot a single torpedo as a submarine captain. The keel of Kumzha (Trout) is laid 6.11.1933 at Krasnoe Sormovo shipyard in Gorkyi (Nizhniy Novgorod). The ship is officially named as Sch-311 in 15th September 1934. It is launched 10th April 1935 and moved to Leningrad for armament. The ship is finally commissioned 21st August 1936. 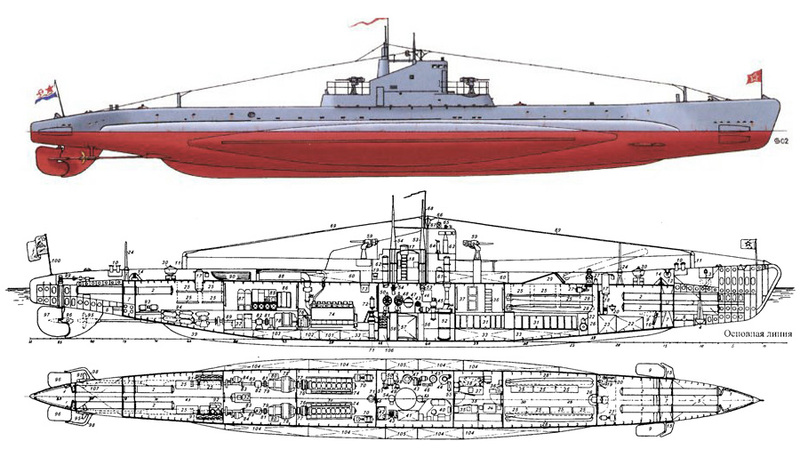 Sch-311 is the most successful Soviet submarine during the Winter War. Commander Fedor Vershinin makes one combat mission, sinking two merchant ships and damaging one. Vershinin receives the Hero of the Soviet Union award, the highest distinction of the time. Kumzha is awarded the Order of the Red Banner. It is the highest recognition available for a military unit. In the beginning of the Continuation War, Kumzha completes three short battle missions under Commander Petr Sidorenko. It only manages to cause damages to a single enemy vessel. Kumzha returns to Leningrad 26th November 1941. It is scheduled to have major changes made over the winter, including new diesel engines. While being repaired, Sch-311 is appointed a new captain, lieutenant commander Anisim Pudyakov. Commander Pudyakov joined navy in 1933. After naval academy, he was appointed as the navigator of the brand new Sch-311. Pudyakov was promoted as the lieutenant commander and transferred aboard Sch-320 in October 1940. He served as a deputy commander and was awarded two Orders of Red Star, in 1940 and 1941. Pudyakov is appointed as the commander of Sch-311 in 14th January 1942. Sch-311 is not ready for action until 27th September 1942. In a besieged city, crew and supply shortage delay the restoration. German artillery manages to hit the boat, causing further damage. Sch-311 finally leaves Kronstadt in the evening of 10th October 1942. Kumzha and Sch-302 are escorted by gunboat Moskva (Moscow), five Fugas class mine sweepers and three motor patrol boats. Kumzha’s mission is to break through the submarine defenses in the Gulf of Finland. Its area of operation is on along the coast of Sweden, between the islands of Gotland and Öland. Pudyakov’s orders are to destroy any enemy merchant and navy vessel encountered. The mission is delayed by a storm. It forces the convoy to seek shelter in Lavansaari harbor. Sch-302 does not notice signals sent by the convoy leader and continues its westward journey according to the original plan. This is the last time Sch-302 is seen. It disappears without a trace. As the storm calms, Kumzha heads out again. Around midnight 12th October it submerges west of Lavansaari. This is the last Russian record of the boat. The Sch type series 3 submarines were began produced in 1930 and this series became the base for some following series development. Sch submarines were used in Baltic, Black Sea, North and Pacific Fleets during WW II. Six different series of the boat were made. Total number of boats manufactured was 86. Of those 44 participated in war, 31 boats were lost.